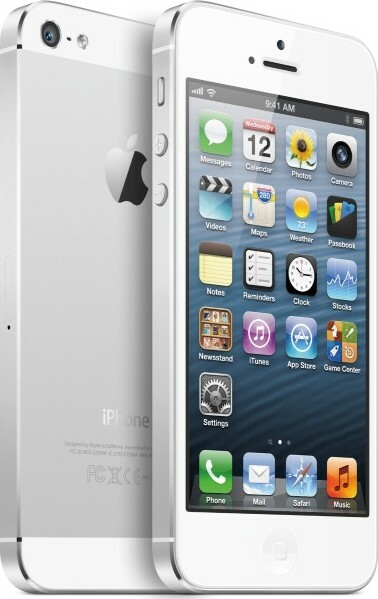 Apple finally launched iPhone 5, 2012’s most awaited gadget, at a highly anticipated event in San Francisco. The iPhone 5 is 18% thinner and 20% lighter than the iPhone 4S. It is the thinnest smartphone in the world with a casing made from glass and aluminium, according to Apple. iPhone 5 will run on Apple’s new operating software iOS 6. With a four-inch Retina Display screen, the iPhone 5 allows for five rows of apps — one more than previous versions of the device, which sported a 3.5-inch screen. 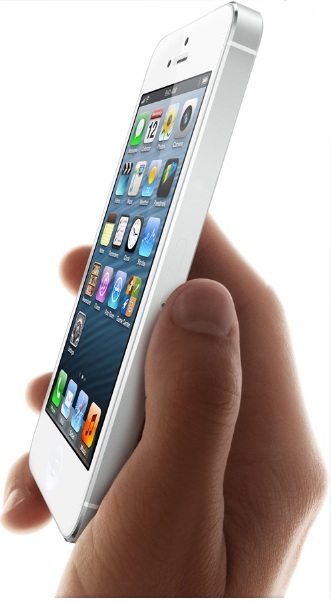 Apple iPhone 5 features a retina display and the screen will have a 1136 x 640 screen resolution, with a 16:9 aspect ratio. Apple has also unveiled a brand new chipset for the iPhone 5: the quad-core Cortex A6 processor, which Schiller says is a full two times faster than the A5 chip in the iPhone 4S. There are also now three microphones in the mix: one on the front, one on the back, and another on the bottom. It sports an 8MP rear camera with panorama mode, backside illumination, hybrid IR filter, five element lens, and f/24 aperture. It provides 8 hours of 3G talk time, as well as 8 hours of 3G and LTE web browsing to be precise. 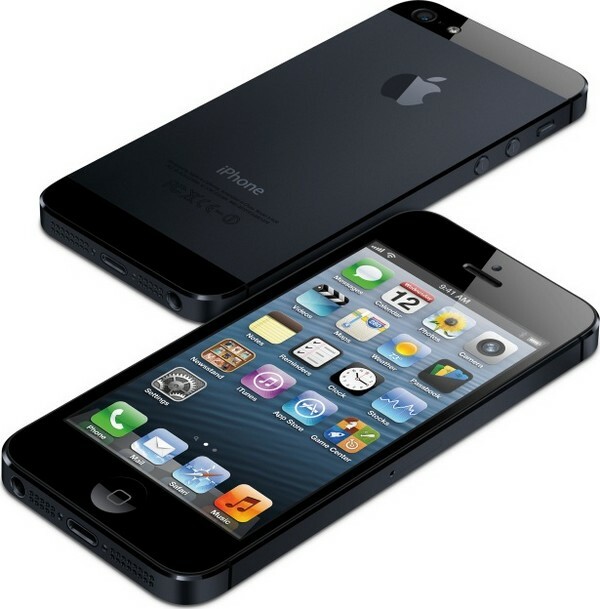 Apple iPhone 5 will cost the same as 4S – $199, $299 and $399 for 16, 32 and 64 GB versions respectively. These prices are applicable to the operator-locked handsets in the US market. It is strictly on-contract pricing through partners AT&T, Sprint, and Verizon. Apple did not give out the prices of unlocked variants. Pre-orders for the iPhone 5 will commence on September 14 and it will hit the shelves in US and UK on September 21 followed by a rollout in 20 more countries, including Canada, UK, Germany, France, Australia, Japan, Hong Kong and Singapore, by October. It is expected to arrive in the Indian and Pakistani markets by November. 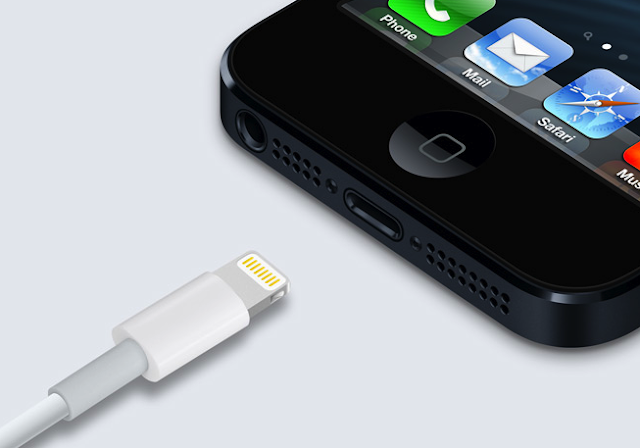 In India and Pakistan iPhone 5 should be approximately priced around Rs 45,000 and 65,000. A6 processor is twice as fast as the A5 chip, also twice as fast for graphics. 600 million sets of headphones for the iPhone, iPad, and iPod range. Only one Foo Fighters who performed at the iPhone launch. Services: 3G and superfast mobile 4G phone; music player; video player; internet browser; email. Built in Apps: FaceTime video calls; video editing; Safari internet browser; email; Google maps replaced with Apple alternative including spoken directions; no YouTube as standard. Processor: A6 chip said to be twice as quick as A5. Battery: Standby up to 225 hours; Internet use up to 8 hours on 3G/4G; video playback up to 10 hours; audio playback up to 40 hours. 8 pin ‘lightning’ connector: to power sources and docking stations on speakers, radios and other devices. New adaptor will allow connections to existing 30 pin docking stations.